Quickly pour in wine into the pan and season with black pepper to taste. 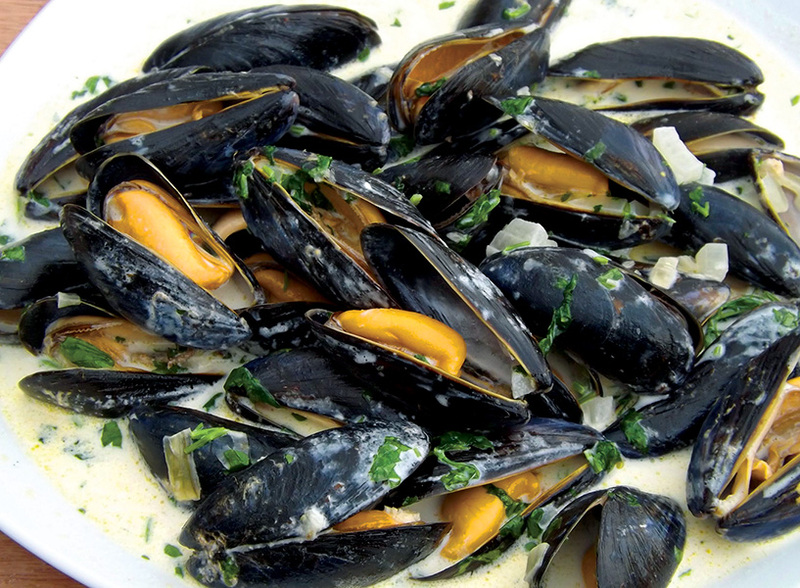 Bring sauce to a boil, stir in mussels, and cover immediately. Shake pot and let boil for 1 minute.